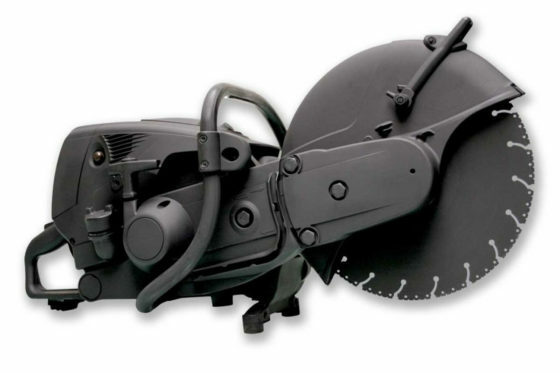 The MS 460 Breacher Chain Saw Kit is a backpack-mounted Stihl MS 460 Magnum chain saw with 16″ guide bar designed for optimum speed during breaching operations. 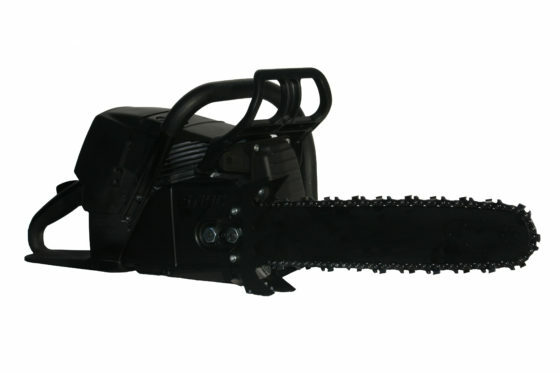 The saw features a displacement of 4.7 cu. in., engine power of 6.0 brake hp and powerhead weight of 15.2 lbs. The kit features a single pin quick release system allowing the operator to remove the chain saw from the pack rapidly and effectively. 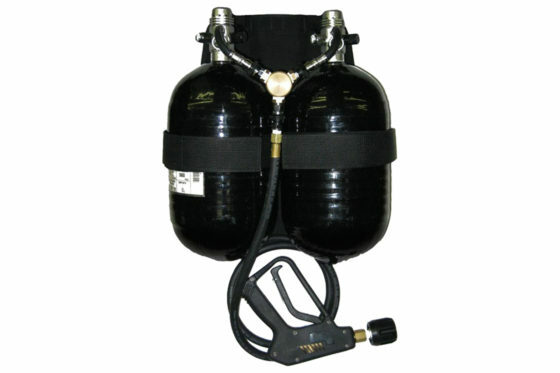 Weighing only 30 lbs., the system is lightweight and easily handled by a single operator. The Breacher Quickie Saw Kit is a backpack-mounted Stihl TS 700 quickie saw that provides breaching power for multiple uses. 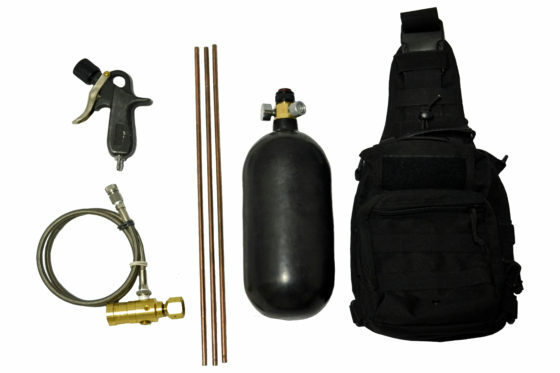 The diversity of these packs makes them ideal for smoke jumpers, law enforcement agencies, government agencies, military, private sector, and fire and rescue departments. Weighing only 40 lbs., with the option to carry four extra cutting discs, the Quickie Saw uses a single strap and two quick-release pins to move from pack to job within seconds. The Mini Quick Saw (pictured without blade) is the world’s first cordless cut-off machine with a 230 mm cutting wheel for wet cutting. 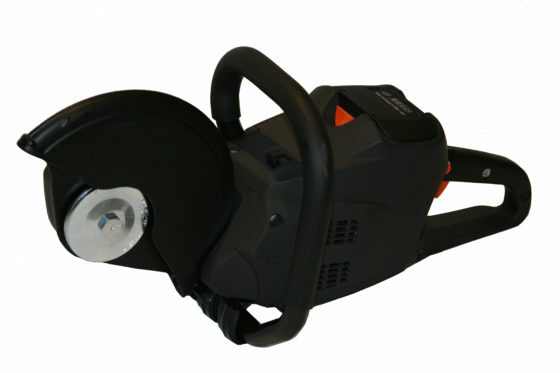 The saw is suitable for indoor and outdoor use up to 70 mm cutting depth. It has a water connection with ball valve and hose coupling, spindle lock, and maintenance-free belt drive. The MKII Exothermic Torch uses a compact, durable, and lightweight backpack design. Designed for use with or without body armor. High-volume compact tanks for increased cut time. The single- or duel-tank design allows the operator to adapt the package to the mission. With on-the-fly adjustments, the operator can modify performance based on need – between the precise throttle control of one tank for extended cut length or the higher flow rate of two tanks for penetrating thicker material. The pack has an internal rod pouch, internal handle, and hose pouch. Custom fabrication and machining available.